After mustering only a single touchdown and five (5) field goals by Big Ten Special Teamer of the Week Colin Wagner against a mediocre Temple defense, one is left wondering what is going on in the red zone. Is it the play calling? Is it Robert Bolden pressing too hard when the Lions get inside the 20 yard line? Only the coaches and players know for sure. 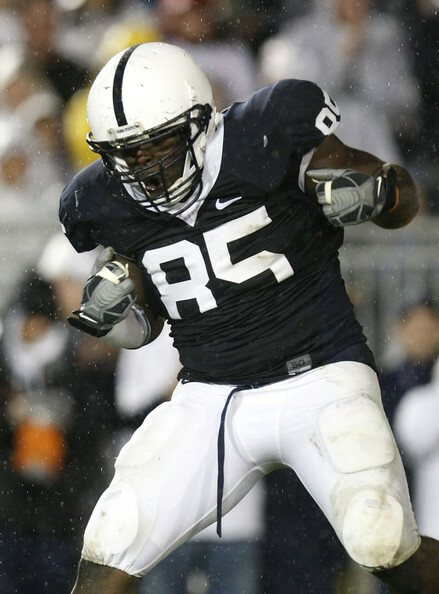 In the red zone, the Nittany Lions are 11-15 (73%) which appears good on the surface. There have been a few turnovers down deep with at least two coming against No.1 Alabama. Only 6 of those 11 scores (or 6 of 15 chances overall) resulted in touchdowns. To have a successful season in the incredibly tough Big Ten Conference, that touchdown tally MUST increase rapidly. Against Temple on Saturday, multiple times the Lions had long drives that did not result in touchdowns. Luckily Wagner is a solid kicker who can covert most of those drives into points. 3 field goals against Temple were under 35 yards meaning that the Lions could not score touchdowns when they got close to the endzone. The lone touchdown came on a short 1 yard run by backup fullback Mike Zordich. The Nittany Lions struggled against Alabama as well but that could be expected as Bama has one of the top defenses in the country. Bolden, especially against Kent State and Temple, overthrew receivers as he experienced strong pressure and was trying to convert touchdown passes. He has done this numerous times, but that is one of the flaws of starting a true freshman at the most scrutinized position in all of sports. Seeing Bolden’s high number of passes makes you wonder why the coaches do not have a more balanced attack when in the red zone. Against Temple, Evan Royster had 26 carries for 185 yards but no scores. Don’t you think that Royster could get in from say 20 yards out with those kind of numbers averaging 7.2 yards a carry in the game? The playing calling at times has been questionable this year (likely in an effort to protect Bolden perhaps a bit too much) so it would be hard to place all of the blame on Rob Bolden. We will have to wait and see what happens this week against an experienced and talented Iowa team. Will those field goals turn in to touchdowns or will we be forced to settle for field goals against an outstanding Iowa defense. 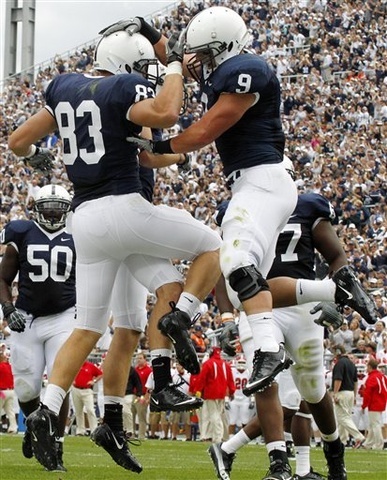 The Penn State / Iowa game airs at 8 o’clock PM under the lights in hostile Iowa City on ESPN! Be sure to cheer on the Lions and hopefully they can pull out a tough and impressive win in front of a national audience.